We will be pleased to welcome Andrew Mackenzie OAM, a regular friend of the Eltham District Historical Society. Andrew is an Art Historian, Lecturer, Heritage Consultant, Archivist and Author of many books, including a number about the life of Walter Withers (1854-1914). At this meeting Andrew will speak about Walter Withers in Eltham. There are a number of strong connections between the Withers family and early Eltham, which Andrew will touch on. Not only did Withers establish his home in Eltham from 1902, he painted a number of his significant paintings around Eltham and the local area. 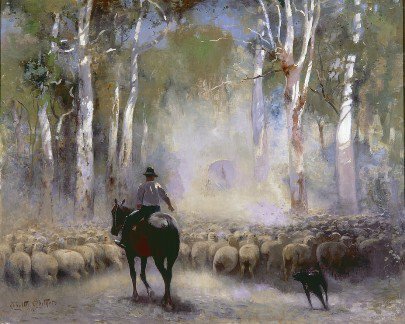 He even captured William Capewell, the local Eltham butcher, in his famous painting ‘The Drover’. #ThrowbackThursday – Today we time travel back to the 1960s and the scene of disaster in every child’s eyes; a fire in the local Milk Bar. 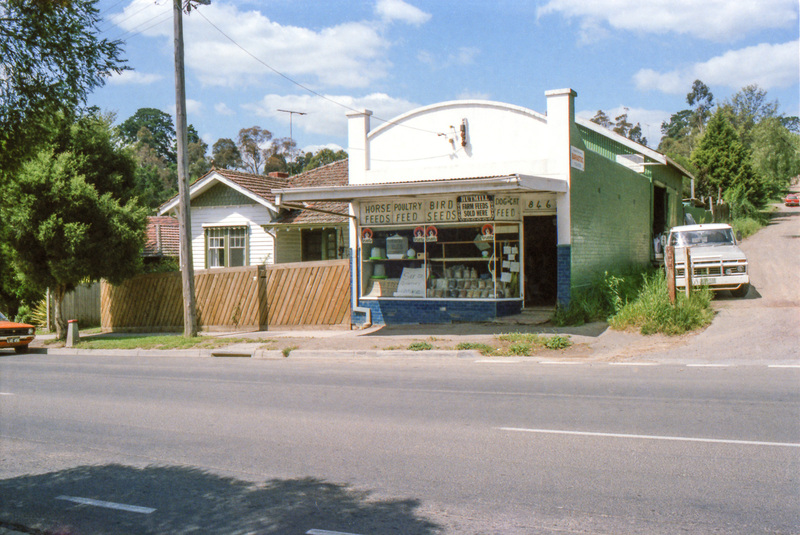 Who remembers this Milk Bar on Main Road near Arthur Street, and the fire? Do you recall what happened and did the business recover from the fire? Was it your hang-out after school? What was your favourite treat there? Please share your stories and let us know what your memories are of this local Aussie institution and the people that patronised it. 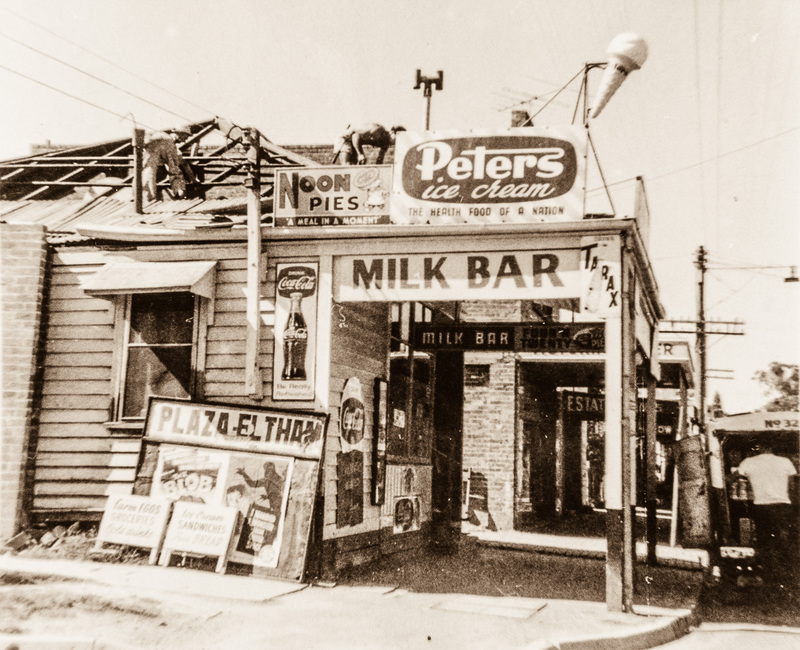 Fire damaged Milk Bar, Main Road, Eltham near Arthur Street, c.1960. 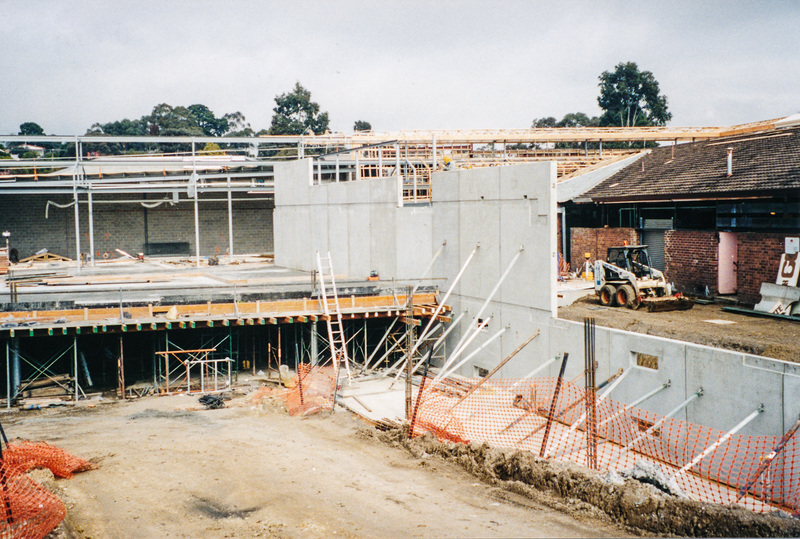 #ThrowbackThursday – Today we time travel back to 1999 and the building of the new Coles store in the Eltham Village Shopping Centre at the corner of Main Road and Arthur Street, Eltham. 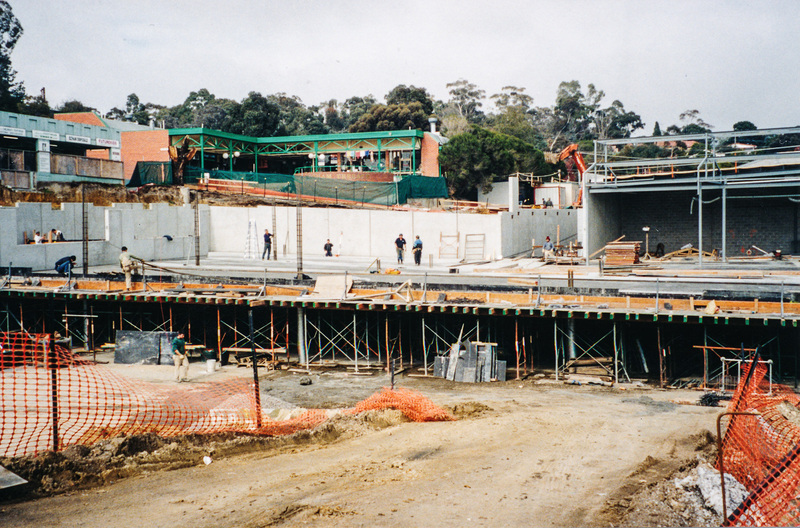 This site has seen a fair number of changes over the years but this would have to be the biggest and deepest cut of all. Early view of Main Road looking south from Brougham Street to Dalton Street; site of the Avenue of Honour in memory of the 1914-1918 War. 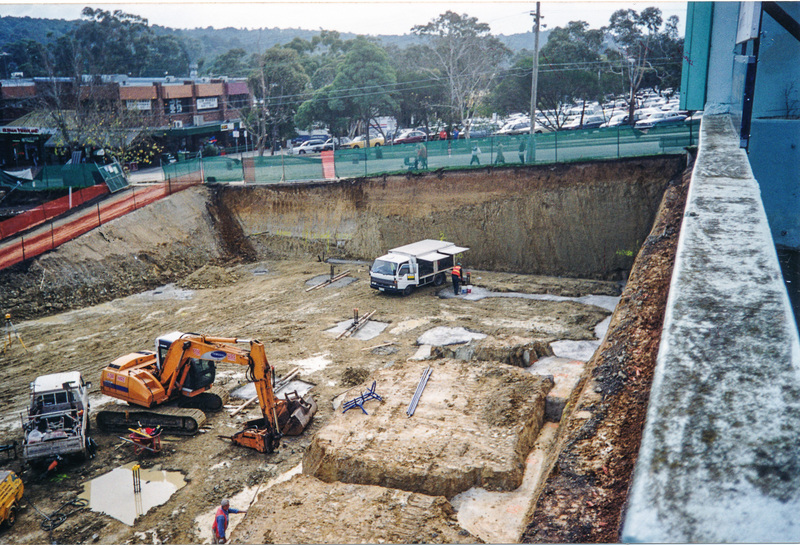 In the early days of our Society our excursions were usually bus trips to places of historic interest away from Eltham. For nearly 20 years our excursions have been far more local, mainly comprising walks around many parts of the Eltham district. The first such walk was a leisurely stroll through the Eltham South area. 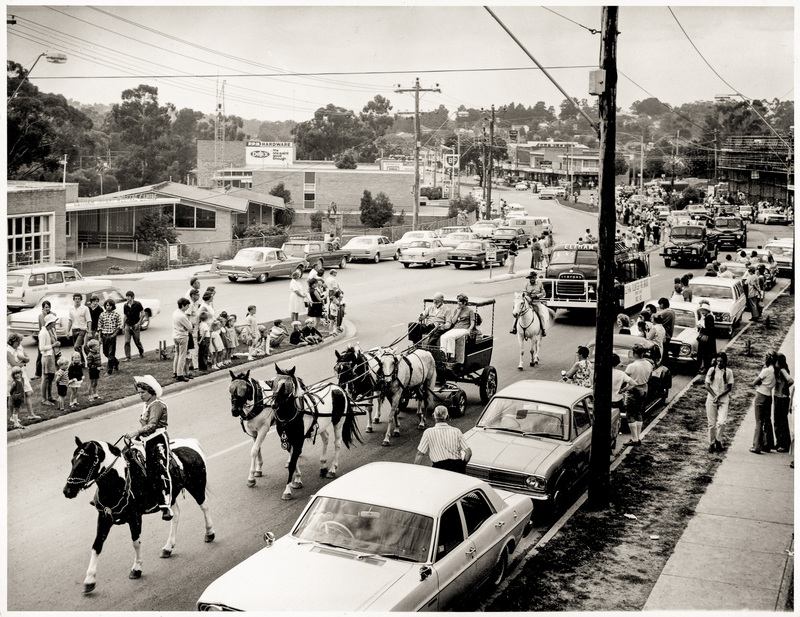 Although that walk has been repeated several times with some variations it is considered appropriate in this our 50th year to again take a ramble visiting historic sites in Eltham South. 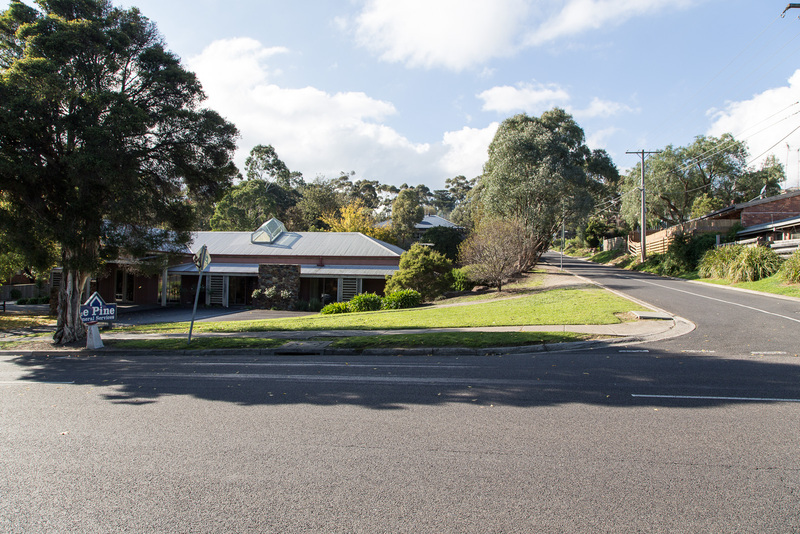 On the way we will pass such places as White Cloud Cottage, the old buildings of Eltham Primary School, teacher David Clark’s cottage “Shoestring” and artist Percy Leason’s house “Landscape”. 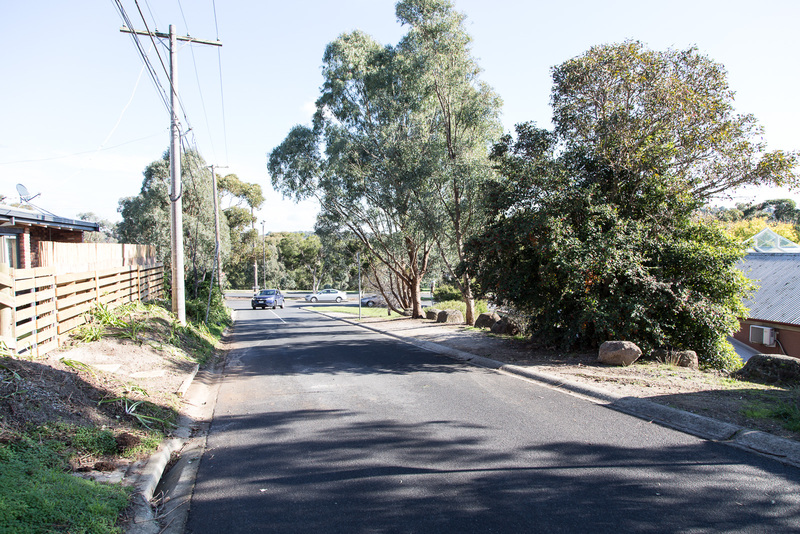 We will walk through the historic Eltham Cemetery and Wingrove Park, a site of Aboriginal significance. This walk on Saturday 6th May 2017 is about 3.5 km in length and will take 2 to 2.5 hours. It will start at 2pm at the Eltham Local History Centre 728 Main Road (Melway ref 21J7). Our early walks finished with a cuppa and biscuit and we will reinstate that feature for this walk. 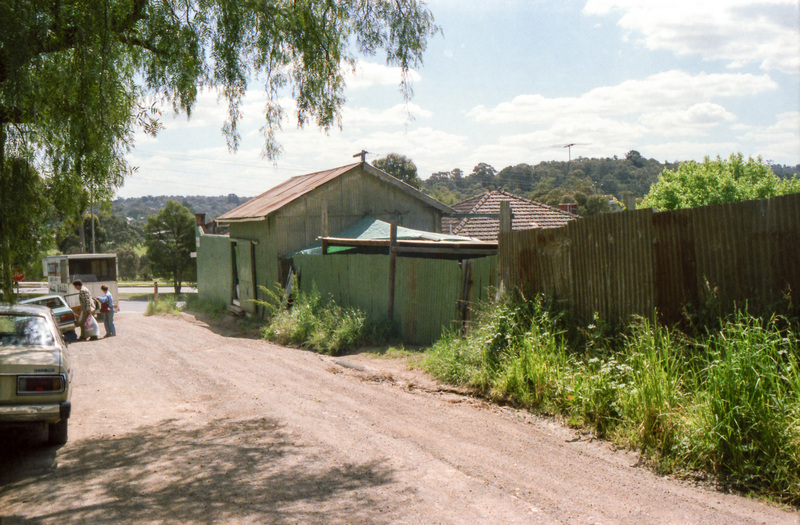 Photos of Percy Leason’s Residence Studio “Landscape” by David Bick from the Shire of Eltham Heritage Study 1992. Our meeting at 8.00pm on Wednesday 12th April 2017 is our Annual General Meeting, which includes the presentation of annual reports and the election of office bearers for the coming year. The official notification of the Annual General Meeting and Agenda are on page 8 of our April Newsletter. Copies will be available on the night at the meeting or can be requested via email to edhsoffice@gmail.com. At this meeting we are pleased to have as our guest speaker Dr. Andrew Lemon, a great friend of EDHS and a Fellow and the immediate Past President of the Royal Historical Society of Victoria. Andrew is an independent Melbourne historian, author of numerous books on local history, shipwrecks, biography, schools and sport and winner of national literary awards. He has been awarded the degree of Doctor of Letters by the University of Melbourne for his published works. Andrew edited the Victorian Historical Journal throughout the 1990s and served on the Library Board of Victoria and the Heritage Council. Andrew is a very entertaining presenter and in our 50th Anniversary year he has chosen to speak about ‘Fifty years of the EDHS – and why it matters.’ We look forward to again welcoming Andrew to share time with us.